Do you remember the song from music artist Snap in the 1990’s called “I’ve got the power” It just sets you up for the entire day with this incredible energy. 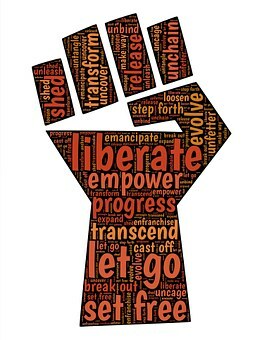 My theme today is all related to power; the feeling of being empowered. Everyone deserves to feel empowered, isn’t it? Now the question is, how do you feel empowered and what you can do to achieve it. The answer to the question above is to ask a follow-up question i.e. What is the immediate situation at hand which you are trying to solve? Is it a loan which you are trying to get approved? Is it learning to ride a new motorbike? Or Is it trying to solve a maths problem? Whatever the situation is, it need not be judged. A situation at hand can be simple task for some individual but could be a complex situation for someone else. Now if I may ask, further, what is the immediate situation at hand for a toddler who is a year old? For a toddler who is a year old the immediate situation at hand could be to balance on their two little feet and walk a few steps. Of course this is easier said than done; if you think about the neurons firing inside her brain, while trying to coordinate her postural movements and at the same time countering the gravitational forces in play. Now the toddler may try few times; falling and then lifting herself up again, till the time she is successful in doing so. It is all about that ecstatic feeling, when she outstretches her arms and comes walking haphazardly towards you.What a joy! The feeling of being empowered is definitely there for her. The flip side to this is the feeling of desperateness due to failures. Now such situations are common; but what separates the chalk from the cheese is the mental strength, the right attitude to combat failures and a single minded devotion to achieve. This is what helps us surpass those initial failures and feelings of desperateness. Now, If this situation at hand benefits one person, that is you; then it is good, as it allows you to take control of your life, but if the situation at hand which you are trying to solve benefits your family then it is even greater. Imagine if the situation at hand benefits the people at large or an entire community then the entire community benefits from it. If many such situations at hand, benefit the countries, then the entire world benefits, isn’t it so? Think about it! When Penicillin was discovered; it benefited the entire mankind. This is what makes good, great and helps empower the entire mankind. We have so much to learn from great leaders such as Mahatma Gandhi, Mother Teresa and many others who spent their entire lifetime with a single minded devotion towards a common goal. Did they empower us? Does our generation and the generations to come enjoy their benefit? Yes, again! Feeling Empowered is as much a personal choice as it is for a community or a nation. At the end, it boils down to the choices that we make in our life. Do we make choices which help us feel empowered in our life? Till such time, the song “I’ve got the power” is reverberating inside me. Why do we suffer or why our relationships turn sour or what is Karma. Why certain perceptions are built against an individual. If these topics interest you, then checkout my articles.